This design is something I did for an event called Baccalaureate. It’s a basically a Christian ceremony for Seniors in High School about to graduate and enter the world. 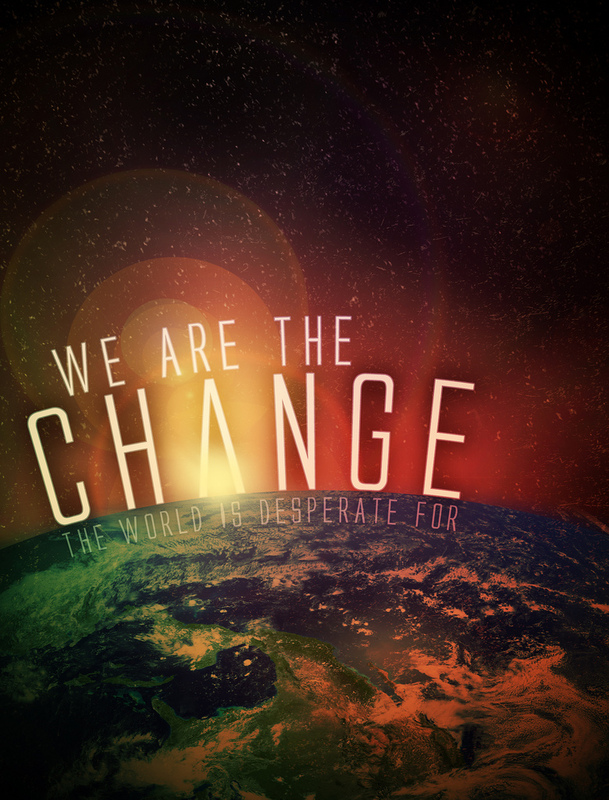 Our theme for this Baccalaureate in 2011 was “We Are The Change”, which was inspired by a song by Elevation Worship called “The Church”. I’ve attached the song below, enjoy! Let me know in the comments, if you could change anything forever in this world, what would it be?